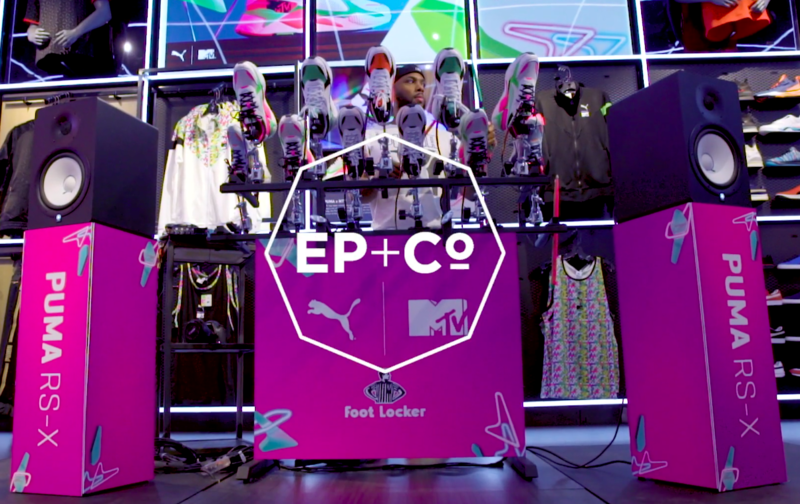 EP+Co teamed up with PUMA for their fourth experiential partnership, the launch of the RS-X MTV sneaker. And this time, we brought the sneaker to life through a literal 12-shoe drum kit. The drum kit was built 100% in-house, from engineering and fabrication, creative technology and build, to capturing content and experiential activation. 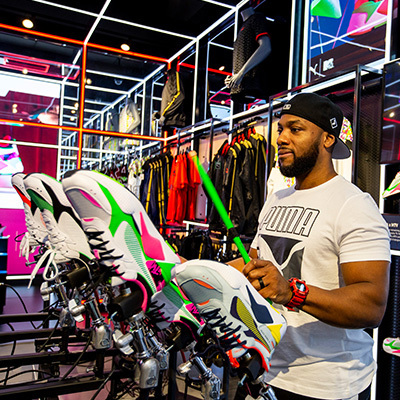 It featured the RS-X MTV sneakers, giving artists and attendees the ability to make their own beats through the hit of a drum stick. The event “PUMA RS-X MTV Sneaker Talk” was hosted in Atlanta by Sway Calloway and rappers Lil Keed, Yung Bans, and Deante’ Hitchcock. In collaboration with PUMA and EP+Co’s Content Engineering and Creative Technology teams, another successful one-of-a-kind experience was delivered. Take a look at the full recap below.